So we've had some requests from users asking if this is possible, it is. This is an option you have to put on the command line when you launch the engine. It's case-sensitive so make sure you use all uppercase for the orb name. The example below shows what you need to type if you want to connect to the 'Arizona' orb, simply replace that orb name if you wish to connect to a different one. You can also set Kai to always log into your desired orb by editing the 'Start Kai' icon/shortcut. Right-click on your Kai icon and click the 'Shortcut' tab. There, input the same command as you've used above in the 'Target' box. Hit 'Apply' and OK.
**NOTE** Once you have set this, Kai will always look to login on the orb you've selected. If that orb is full or offline, you may run into problems. Simply repeat the above step and select a different orb to use until your desired orb becomes available. I did not know that this was possible. Thank you for posting this information, as it has seemed in the past that being on different oribital servers might be causing issues with people especially when we are located in many different locations. This information is also very useful in Japan. I've put your guide into the Japanese XLink Kai an official BBS. p.s. 目から鱗(が落ちる)=The scales fall from one's eyes. Yeah i tried doing that but im still stuck on TX Montreal Orbital servers. 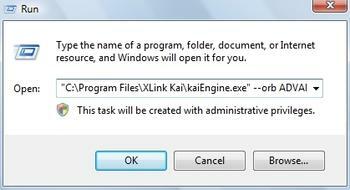 This is what I did "C:\Program Files\XLink Kai\kaiEngine.exe" --orb ADVANCED_DC2. Cheers for the heads-up, I've made the devs aware of this and will update the thread when they've got back to me. 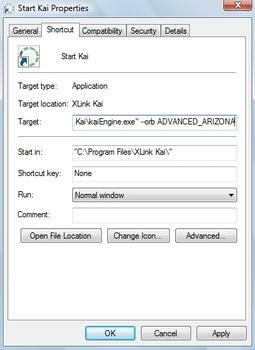 Make sure if you had Xlink Kai open beforehand that you exit the process from the taskbar (bottom right of your screen). If Xlink Kai was still running from before and you try manaully switching orbitals it will keep you on the last one you were on. so let me get this straight, when you connect to a different orbital are you going to see all different people? Or is it the same people and you just have a better connection or something? When I first log in my orbital it tx Arizona. Then the people I play socom with say they are in the Toronto orbital then I relog and change it to just that. But when I check the metrics it says I'm in TEAM XLINK HQ. So my question is why won't it change to Toronto for me please help moderators or anyone else. If that doesn't work try the following. Could you elaborate on what you mean by "neither worked"? Did you get an error? Could you also post the full command you used.